Leasing your Laser Cutting or Engraving Machine through CAMFive Laser and Sunset Financial Group provides your company the ability to take advantage of the IRS’s Section 179 Deduction, which allows your business to deduct the full purchase price of equipment, up to $1'000,000, as long as it was placed it service within the calendar year. In fact, a company’s actual dollar tax savings from Section 179 could potentially exceed the payments made in the purchasing year. Businesses have significant reasons to acquire and install capital equipment before the end of this year, thanks to Section 179 of the Tax Code. For the current tax year, Section 179 has been dramatically increased to $1'000,000 in 2018! This deduction is good on new and used equipment, as well as off-the-shelf software. This limit is only good for 2017, and the equipment must be financed/purchased and put into service by the end of the day, 12/31/2018. This can have a DRAMATIC effect on tax savings and, in essence, DRASTICALLY reduce the overall cost of equipment purchases while buying equipment and all end-of-year vendor incentives that likely exist still apply as well. 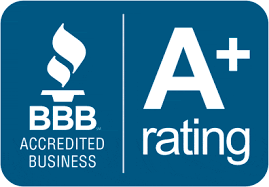 Partial Business Use (equipment that is purchased for mixed business use and personal use). Deductions will be based on the percentage of time you use the equipment for business purposes. If you purchase a high-end camera and use it 80% of the time for business, and 20% of the time for personal use, you can deduct 80% of the cost under Section 179. Can you take Section 179 on leased equipment? Yes, equipment financed under a capital lease or on an equipment finance agreement still qualifies for the Section 179 deduction. In fact, this is a popular strategy among business owners as they immediately get to write-off up to 100% of their equipment purchase, but pay for it over time as it generates revenue. A capital lease is one with a $1 end-option or 10% PUT/balloon due at the end of the term. 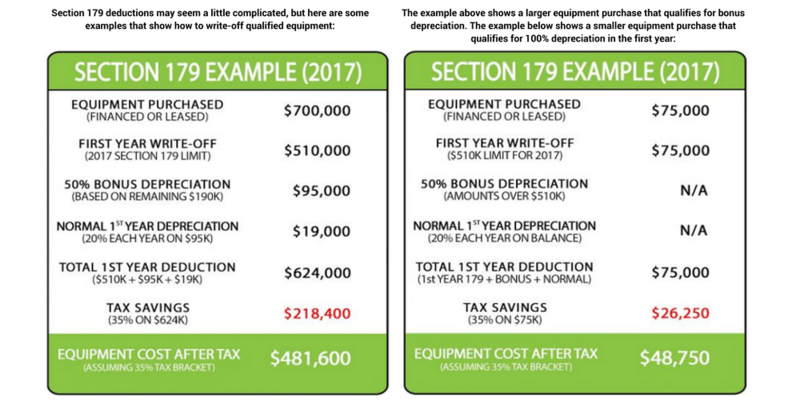 Financing equipment at the end of the year and immediately depreciating it under IRS Section 179 can mean BIG tax savings for companies and individuals. Most equipment leasing companies are well versed on Section 179 requirements and can structure your financing to be in compliance. In order for equipment to qualify for 2018 Section 179 deductions, you must purchase or sign an equipment lease or loan before December 31, 2018 at 11:59PM. What is Section 179 bonus depreciation? CAMFive Laser do not offer accounting, tax, or legal advice but we do urge you to discuss this with your accountants to see if major tax savings apply to you this year. If you’re reading this blog post near the end of the calendar year then don’t delay – speak to your tax and accounting advisers today to maximize these tax incentives this year – and make next year the one to restore health and vitality to your workday!